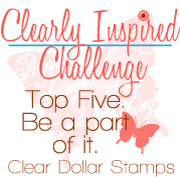 Clearly iStamp: Digi Day at Clear Dollar Stamps! It's time for another Digi release from Clear Dollar Stamps! We have some exciting news! One of our Digi Design Team members has joined us as an illustrator! Deedee Anderson is the newest addition to our Digi Illustrator team....and I'm sure you are going to see quickly why we added her to our line up! Her designs are just delightful and sprinkled with God's love! This first little set is sure to brighten up your day and someone else's day when all colored up! You are going to love the sprinkling of Christian sayings and verses to brighten any creation! This set is just perfect for fall! Who doesn't think of spiced cider and candy apples this time of year? I know I do! The apple image would make a perfect teacher card or gift....give it a try! This little quilt set sure gets me feeling cozy and ready for fall. Times to snuggle up in old quilts, read a good book, or do some crafting! I love fall! You get this with additional papers and colored images...now that is easy! Scroll down to see the adorable cards that can be made with this set! Designed by Trudy Sjolander, Copyright Trudy Sjolander, True =D Doodle Designes. This little guy is ready for a fall party! He's carved his pumpkin, gathered his friend crow and is ready for a little fall fun! They have some adorable new sayings this time around in Digi format and you are just going to love these to color in with your favorite markers or print out colored! Just adorable! Here is the adorable colored version! Get ready to add to your flower of the month collection ladies! We have the next two in the collection, October and November, and will continue until all 12 months are available! Go to our Gallery here to see all the recipes! Please leave us any positive comments and suggestions to encourage our illustrators to design more of these wonderful images! I am soooo excited that Deedee has joined with you! I have loved her work since the first time I saw it. I'd know those sets are hers even with out her name on them. I'm off to go shopping! Yaahoo! Welcome DeeDee - your illustrations are fabulous. These are all wonderful. I am headed to the store now. What a line up of digis. Wow. Love all the samples.